Creating a sense of accountability within a business can boost morale and produce better results but it can be a tricky field to navigate. 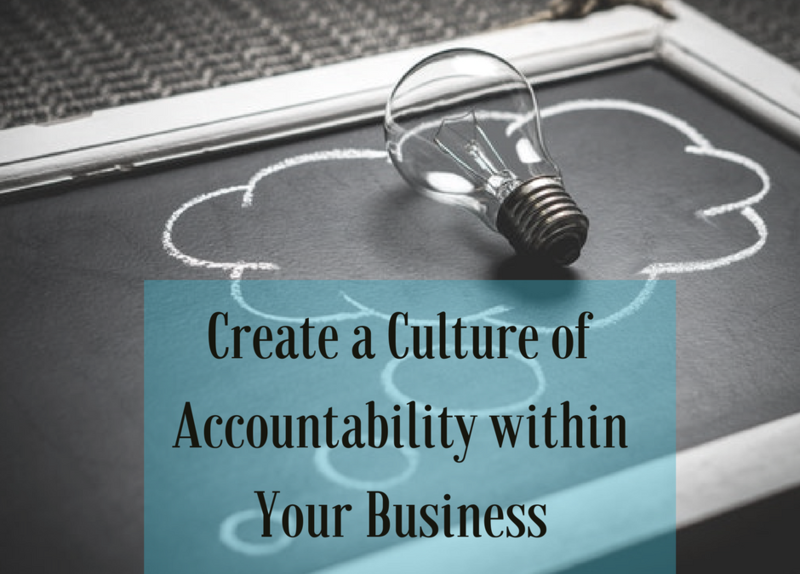 Here are some simple ways to create a culture of accountability within your small business. It’s important that everyone in the business has firm, clear, and concise expectations that are required from each individual. As a business owner, you want to clearly communicate your teams a mission and vision emphasizing the importance of whatever task is assigned. It’s important to invite your team members to be committed to your standards and expectations. If need be, putting it in writing could be the best physical representation of your expectations and their level of commitment. #3. Don’t forget to measure progress. Measuring the progress of team members and employees and encouraging them along the way as well as rewarding them when certain expectations are met, keeps these results at the forefront of everyone’s priorities. #4. Have a link to consequences. Not everyone is driven by motivational factors so in creating a culture of accountability, it’s important to emphasize the consequences to not keeping up with standards or expectations. While incentive and motivation might be the drive for some, consequences in the negative realm might be the incentive others need. #5. Provide Feedback and Evaluate Results. Not all methods will be effective and it’s important to adapt and change to what’s working and eliminate what’s not working. This is one process at a time and it’s important to keep the process moving forward keeping everyone accountable, in-line and striving toward the common goal. For more help and assistance in team accountability, give us a call! We’d love to help evaluate your current situation and determine the best plan of action for your business.